Between babies, toddlers and pets, I really needed a good stain and odor eliminating carpet cleaner. I decided to try Sheiner's Bio Enzymatic Carpet Cleaner for Pet Stains and Odor Removal on my carpet, rugs and upholstery. 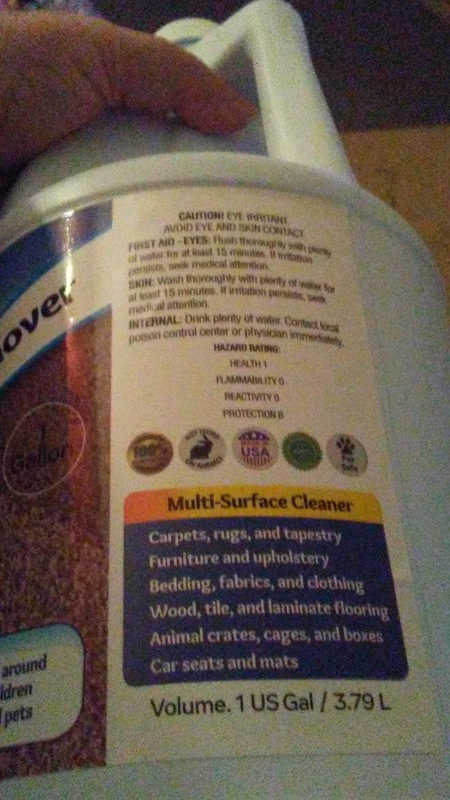 The gallon jug of carpet cleaner came in handy when trying to clean up my stained rugs as well as the couch where one of my grandchildren had an accident. I also used it on one of the mattresses where my grandchildren sometimes sleep. It did a good job of removing both the stains and the odors from these surfaces. This is handy for both children and pet accidents. Any fresh accidents clean up easily. An older stain I found needed a second treatment, but both the stain and the odor were gone after treating the second time.